Step 1. Open iTunes on your Windows or Mac system. Step 2. Plug in your iPhone or iPad to the system. Step 3. As soon as you plug in, you will be prompted to “Trust” or “Do Not Trust” the computer you are connected to on your iPhone or iPad. Simply, tap on “Trust this Computer“. Step 4. 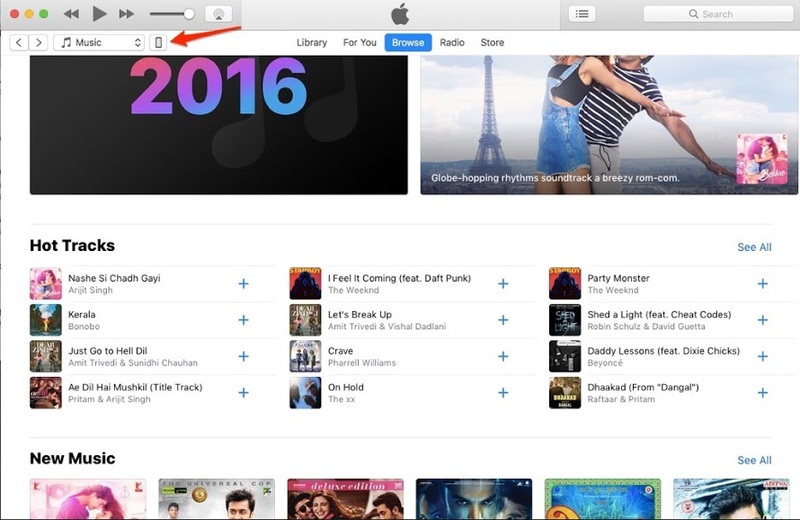 Head back to the iTunes app on your system and look for the device icon as highlighted on the top right screen and click it. Step 5. Scroll down and then click on “Back Up Now” in order to proceed to backup your iPhone using iTunes. 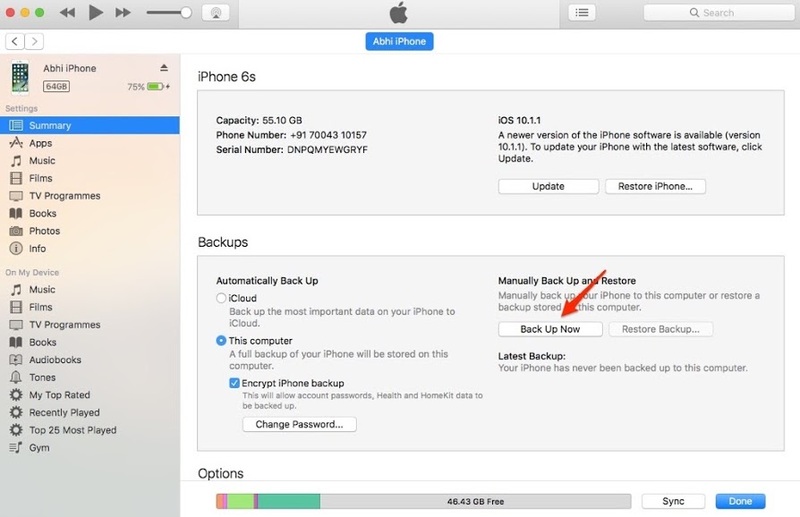 After you click on “Back Up Now“, you will be asked whether to encrypt your iPhone backup or not. If you opt in to encrypt it, you will be able to back up your account passwords, Health & HomeKit data. If you simply want to back up your data excluding the passwords and health app data, you can proceed without choosing to encrypt the iPhone backup. After you are done confirming the additional options, the iPhone backup process would start instantly. You can check out the progress of your backup at the top-bottom of iTunes software window.